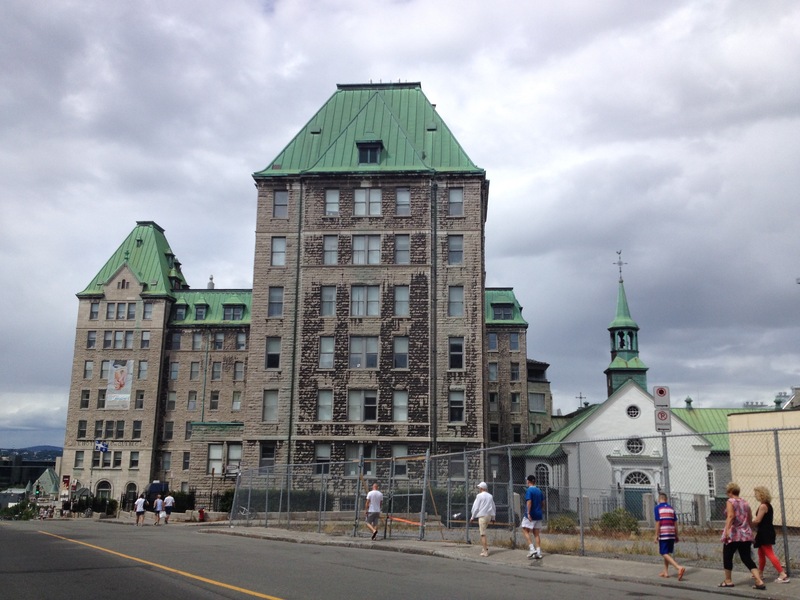 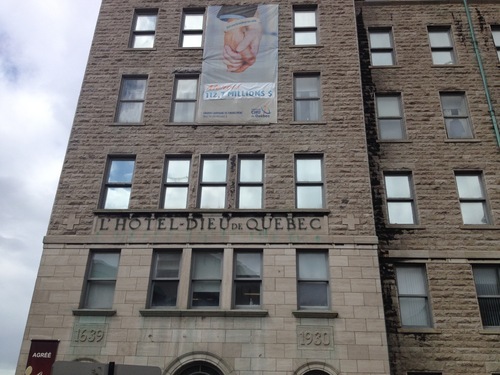 The Hôtel-Dieu de Québec in Quebec City (11, côte du Palais) is regarded as the oldest hospital established in North America, north of Mexico. It was officially founded on August 16th, 1637, by Marie-Madeleine de Vignerot, the Duchesse d'Aiguillon, and entrusted to the Canonesses of St. Augustine of the Mercy of Jesus, aka Augustines Hospitaliers de Dieppe. 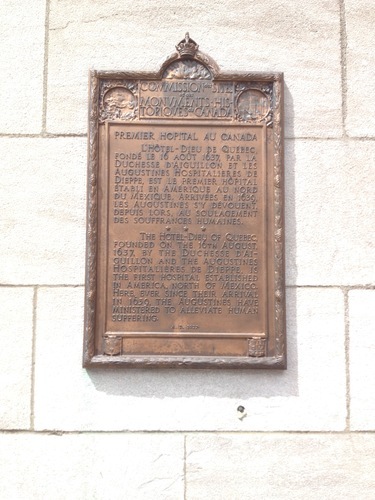 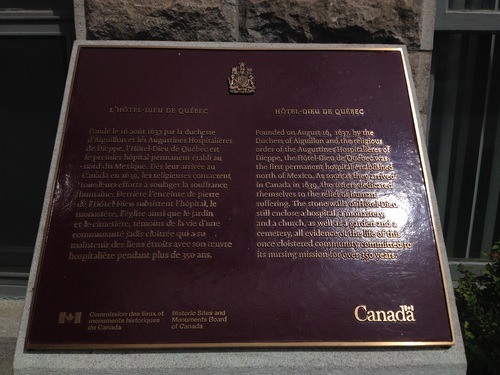 The hospital was designated a National Historic Site of Canada in 1936.